Because you - the most valuable asset in your business – need to invest in your coffee knowledge and skills - to be a successful coffee shop owner. Because we know that our graduates save and earn up to $60,000 more the first year after attending the Academy. Because whether you are a coffee shop owner, manager, or barista you want to maximize and grow sales and business profits. Because to learn from the successes and mistakes of others is less expensive in the long run than learning at your own expense. Because you want to enhance your overall coffee experience and that of your customers. Because by gaining knowledge through hands-on training at the SBA you will build loyal customers and staff. Because you want to create the best service for your customers. Because our Seattle Barista Graduates consistently give our training five star ratings. Because coming to Seattle - the Coffee Capital of the United States - to train and to experience the coffee culture is like going to Paris to see the art or Holland to see the flowers….simply wonderful. 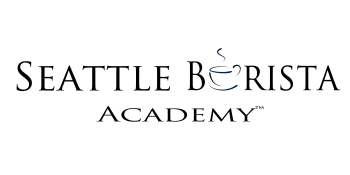 Because we are so convinced that you will be happy with your training at the Seattle Barista Academy that if you are not - your money will be refunded in full. How’s that for confidence in our educational product.